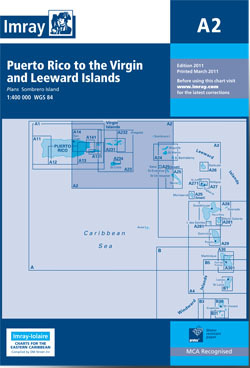 Passage chart Puerto Rico to St Christopher, including the Virgin Islands. Scale: 1 : 416.000. Flat chart, water-resistant paper.